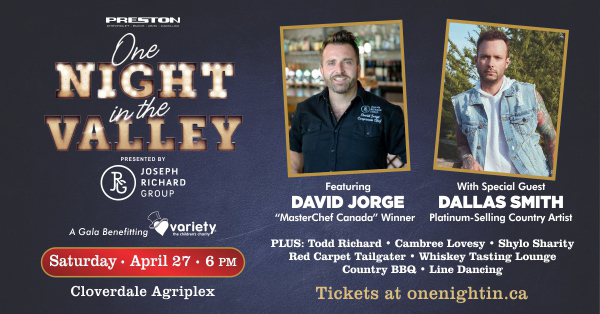 We are delighted to bring ‘One Night In’ to the beautiful Fraser Valley – where the traditions of agricultural farming and backyard barbecues merge seamlessly with fresh urban lifestyle and culinary fare. “One Night In” series, benefitting Variety – the Children’s Charity, is returning for its third year. 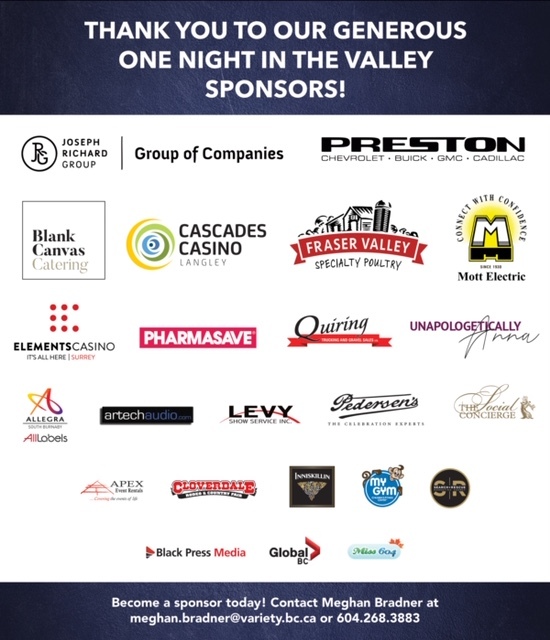 This time, we are packing the wagon and heading out of the city, laying our red carpet at the iconic Cloverdale Agriplex in the beautiful Fraser Valley! 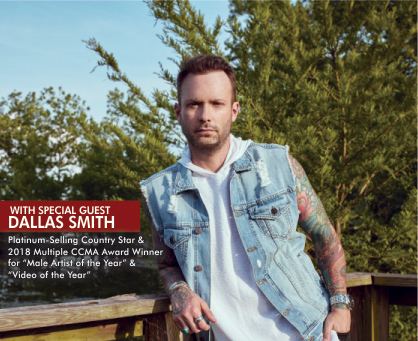 Guests will enjoy a private concert by Platinum-selling Country star and CMA’s Male Artist of the Year 2018, Dallas Smith (DallasSmithMusic.com), and a specially curated, country-style menu provided by Blank Canvas Catering, a division of the Fraser Valley’s own, Joseph Richard Group. Click here to download image assets and to view sample posts for sharing on your social media channels!